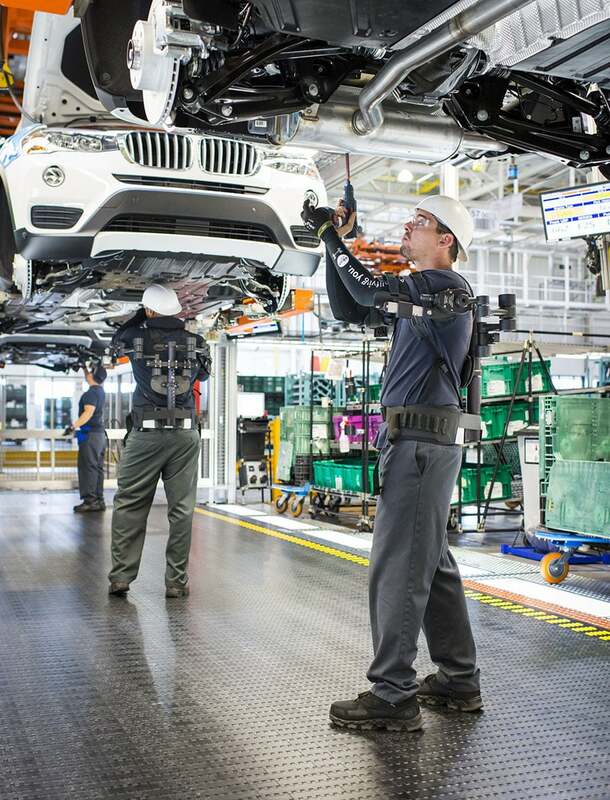 One small step for the BMW Group, one giant leap for the exoskeleton industry. The BMW Group has decided to move ahead and add several dozen arm and shoulder support exoskeletons EksoWorks Vest by Ekso Bionics and multiple Chairless Chair by Noonee. 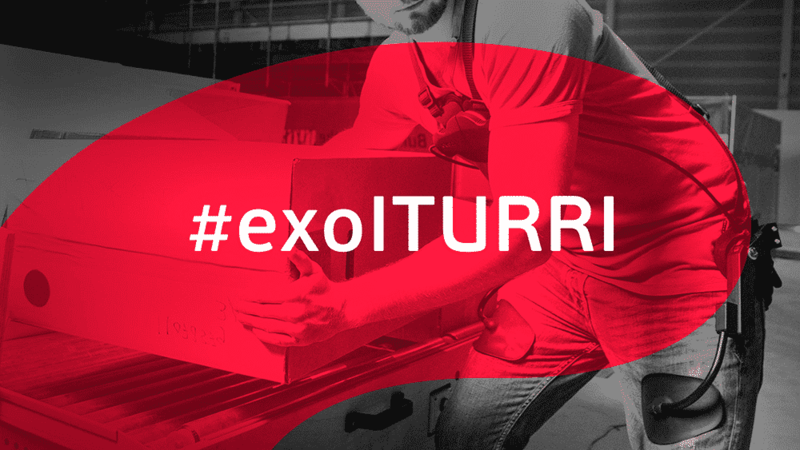 This is a remarkable milestone for all industrial exoskeletons. 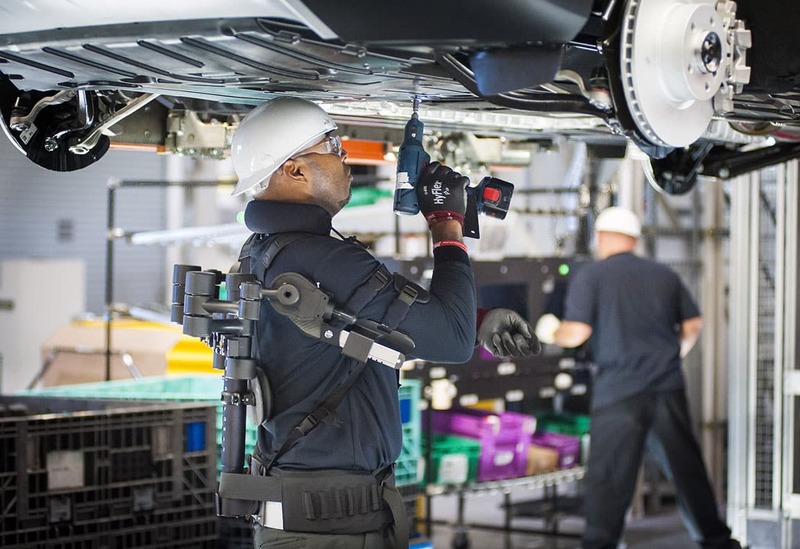 For years, tool holding and body support exoskeletons have been tested at hundreds of sites all over the world. 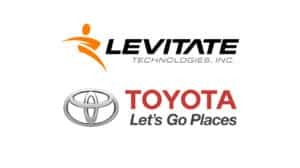 This is the first time that a major manufacturer has publically announced that they want to keep their evaluation assistive exoskeletons and on top of that, acquire additional units, tripling their number. 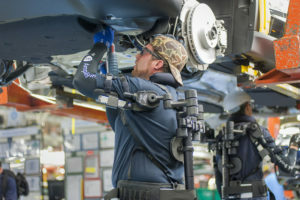 State-of-the-art assistive systems, including exoskeletons, have been evaluated at the BMW Group Plant Spartanburg in South Carolina, U.S. The evaluations have been ongoing for the better part of 2016 and the beginning of 2017. The BMW Group has been investigating technologies such as integrated barcode scanners in a glove, worker friendly robotics, augmented reality and two exoskeleton devices. Specifically, the EksoWorks Vest by Ekso Bionics and the Chairless Chair by Noonee. The EksoWorks Vest is a shoulder and arm support exoskeleton with a headrest. It is designed to alleviate the strain of continuously working with heavy tools above waist level. The Chairless Chair by Noonee is capable of locking into place while a worker has to crouch or stand for prolonged periods of time in the same place. It reduces the pressure on the knee and the rest of the leg allowing for workers to stay on task longer. Special note should be made of: While in the past, man and machine worked in separated areas… the last few years have changed this setup. This is a historic shift in perspective. The idea that a robot, (wearable or not) can be a direct part of people’s work environment is the change of perspective that so many exoskeleton research labs, companies, and organizations have worked so hard to bring to light. On assistive systems and lightweight robotics, the BMW Group press release also adds “…Moreover, they can work directly with people. As a rule, the application of assistance systems is about finding reasonable solutions for the respective purpose, always with the focus on the specific benefit to be achieved.” The key statement here is: focus on the specific benefit to be achieved. Earlier exoskeleton projects were plagued by a technology first design intent: build the exoskeleton and let the user figure out how exactly to use it. 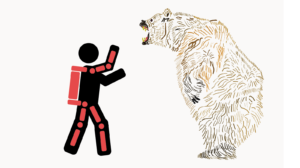 Over the last few years, however, exoskeleton developers have taken note and corrective action. The EksoWorks Vest and the Chairless Chairs are both examples of newer, task and application specific wearables. Exoskeleton development has become much more focused than in previous decades and there are many more task specific exoskeletons making their way down the pipeline. What is an Industrial Exoskeleton? 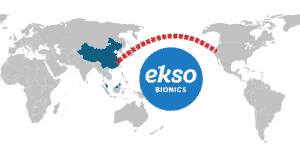 The EksoWorks Vest is not the first industrial exoskeletons to be made in larger numbers. For example, there are over one hundred units of the powered back support exo, the Muscle Suit by the Japanese company Innophys. In addition, there are thousands of V22 and FLx ergoskeletons by StongArm Technologies going into service worldwide. The EksoWorks Vest, however, is the first assistive industrial exoskeleton to be placed on the production floor of a large manufacturer. Ekso Bionics, EksoBionics.com, Note: As of writing this article, Ekso Bionics does not officially advertise the EksoWorks Vest on their website, but they featured it during their first Open House event.